SATURN in astrology represents the desire to assume responsibility and to achieve a measure of control over one’s fate. The position of SATURN in your chart will show you what you most want and most fear. You won’t be able to achieve success easily in this sphere of your life – the benefits won’t be handed to you on a silver platter. However, if you take responsibility for the hard work required for success, the results you create will be much more rewarding on a far deeper level than for others who have not had to go through these challenges. 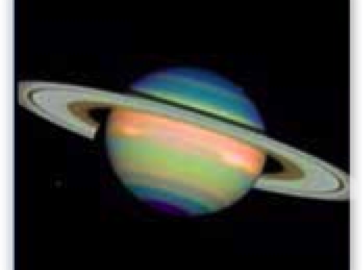 The Sign where your SATURN is located shows an area of your life where you feel awkward and inhibited. This is due to an imbalance from past lives – parts of those lives that you neglected in favor of other concerns. Thus in this life you need to learn how to consciously develop and integrate those attributes in order to create balance within your being. Since you are not aware of what this natural balance feels like, it may take you awhile to achieve it. For example, if your Saturn is in Aries, you may over-do the quality of self-assertion and experience unpleasant repercussions as a result. However, repressing your expressions of self-assertion is also not the answer – it won’t work to not be yourself. So in this lifetime you are learning to re-connect with your inner impulses and allow self-assertion to simply be a spontaneous revelation of who you are and where you stand. Then it will be natural and authentic, and not driven by unnecessary emotional forcefulness. The House in which your SATURN is located shows the sphere of life in which you can most easily attain great success, although it will take hard work and repeated effort. And through the process of meeting this challenge, you will naturally begin accessing the qualities of the Sign of your Saturn and integrating them into your personality in a balanced way. For example, if your Saturn is in the sign of Taurus (self-worth and money) in the 7th House (partnerships and one-to-one interactions), working to build a successful marriage will result in a more solid and balanced sense of self-worth. Likewise, business involving one-on-one connections with others (7th House) will result in a better financial flow (Taurus). Where ever Saturn appears in your chart you will experience limitations – and the opportunity for great success when you work through the obstacles. SATURN rules the Sign of Capricorn, and it is an interesting observation that the House ruled by Capricorn in your chart shows the area of your life you would most like to experience, and yet is the most difficult for you to master. It can seem like one obstacle and setback after another with the matters pertaining to this house, and the blinders within your own psyche won’t allow you to unravel the puzzle. These issues can take a long time to resolve, but you can begin the process by continually taking action in the areas represented by the House in which Saturn resides. If you are persistent, gradually the fetters binding you in the house ruled by Capricorn will begin to unravel and release you, allowing you to experience the success you seek. To discover where Saturn and Capricorn are placed in your chart click here. inhibitions, setting limits, character imbalances, feelings of awkwardness, life lessons, karma, authority, time, discipline, perseverance, responsibility, self-preservation, patience, endurance, dedicated effort, reliability, setting goals, realism, practicality, respect, and accomplishment. The CHALLENGE of SATURN is to accept that there is an area in life where you feel awkward, and be willing to learn from personal experience how to best express yourself in that area. The goal is to stay in integrity with yourself while letting people know in an appropriate way when they have violated your boundaries. The GOAL of SATURN is to recognize and value the knowledge and authority you have gained through your personal experiences in overcoming both inner and outer obstacles. SATURN’S POWER AND INFLUENCE in your life can be enhanced with the metal Lead and the stones Jade, Ruby, Onyx, Cat Eyes, Coral, Fluorite, and Tiger’s eye.